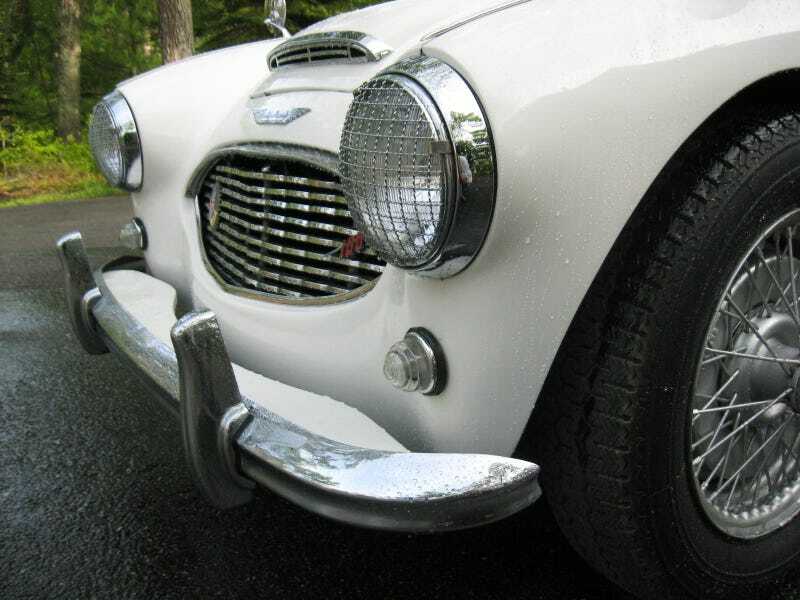 My Step-Dad got to borrow a 1957 Austin-Healey 100-6 from a (wealthy) friend a few summers ago. Here are some pics. For a wallpaper sized (1600x1200) version of the lead image, click here.